The essentials that every creative needs in their toolbox. Every creative knows what it feels like to be up against a deadline. To feel like you’ve got so much work ahead of you, and so little time. After all, when you set your own schedule, sometimes things can get a little … blurred. To combat deadlines, procrastination, and all of the other elements that make up a creative career, we stock our proverbial toolbox with these five tools. Below are our go-to resources for getting a job done fast, and done well. Film Convert is a creative’s one-stop shop for color needs. It’s an Adobe Premiere plug-in that provides users with presets, depending on their camera, that automatically apply film looks. 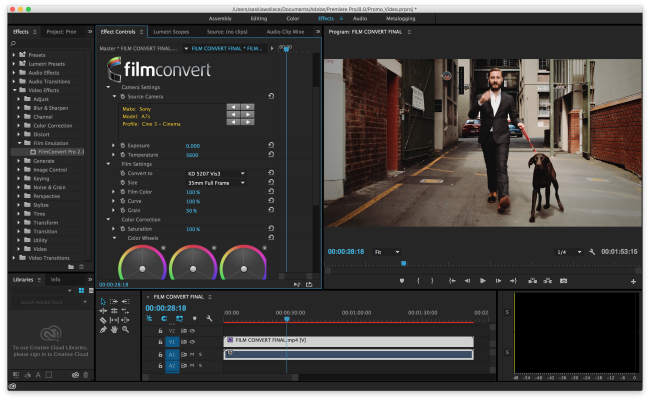 If you’re looking to add film color and grain to your video, Film Convert makes it easy to get beautiful looks, and cuts down on the manual process of color grading your project. Achieve quality results, even on the tightest deadline. Lens Distortions sells a variety of products, including sound effects, for photographers, filmmakers, and visual artists. It’s got top-tier audio libraries for layering your sound design, and features audio sweeteners as well. Lens Distortions also provides audio packs for sound effects, helping to enhance your storyline. Picking the perfect soundtrack for your next project can be a bit of a daunting task – with all of the copyright rules and regulations that apply, finding a song that speaks to what you’re creating, as well as being free of royalties, can be a time-consuming search. That’s where Artlist comes in. 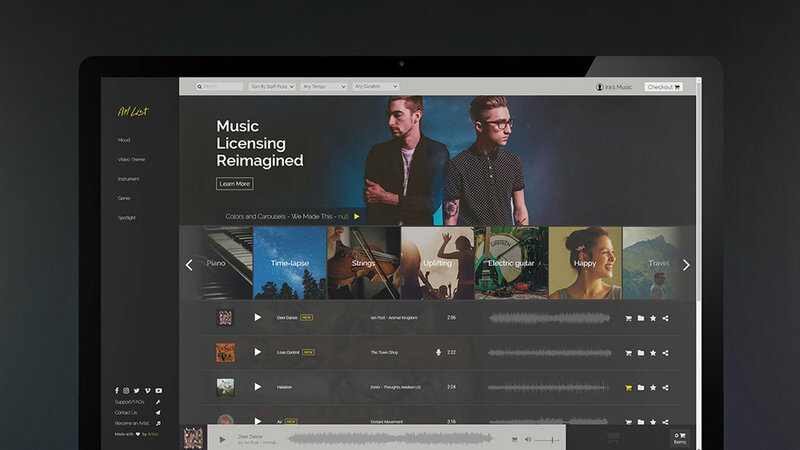 It’s a stock music hub that features all kinds of quality, royalty-free music. Two of the main benefits of art-list is that they have an affordable yearly subscription model, and are always adding new music to their selection, keeping things fresh. The next time you’re looking for the perfect addition to your project, make sure to stop at Artlist first. Developing tools that cut down on work time while increasing quality is the dricing force behind Smashworks. With each tool we develop, we hope to provide a solution to a problem most editors and creatives and editors are facing. Our inaugural product, Hand Painted, works with any font available, and integrates directly into Adobe Premiere, so you never have to leave the program. Choose from a variety of hand-painted textures, as well as our accompany Element Pack, which includes 50 elements to add visual interest to your next project. Newer PostThe Work/Life Balance: How Much Time do Creatives Really Spend Working?